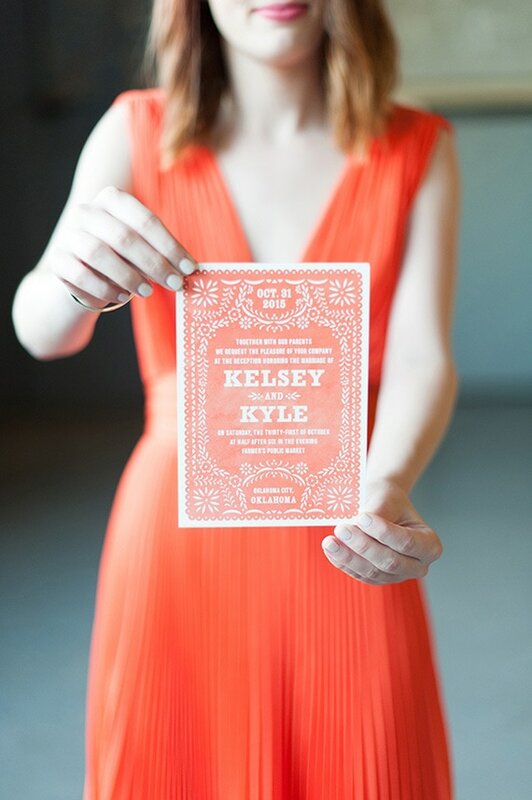 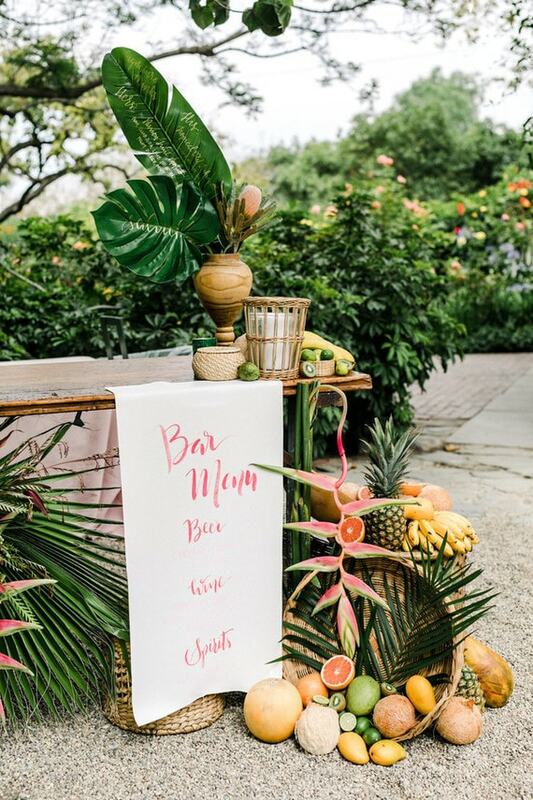 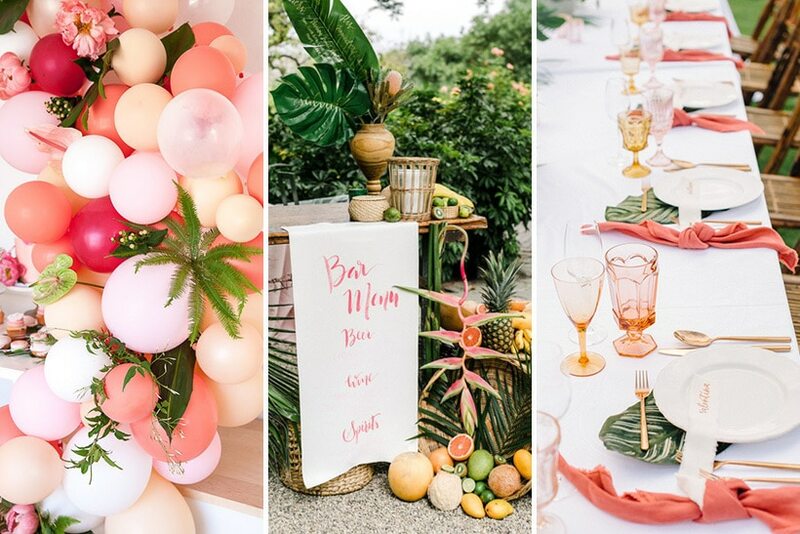 This lush tropical wedding inspiration features Pantone’s colour of the year for 2019, Living Coral! 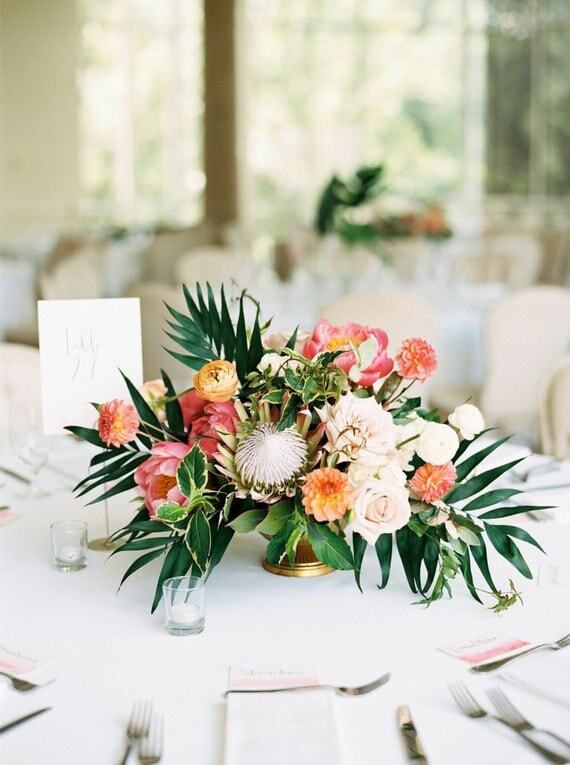 Radiant and playful, this grapefruit inspired hue is perfectly matched with pink, peach and yellow tones backed by lashings of exotic greenery. 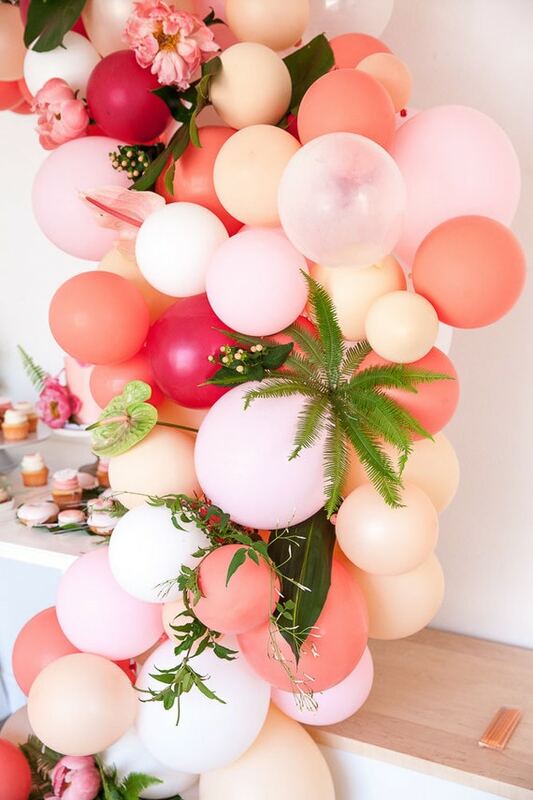 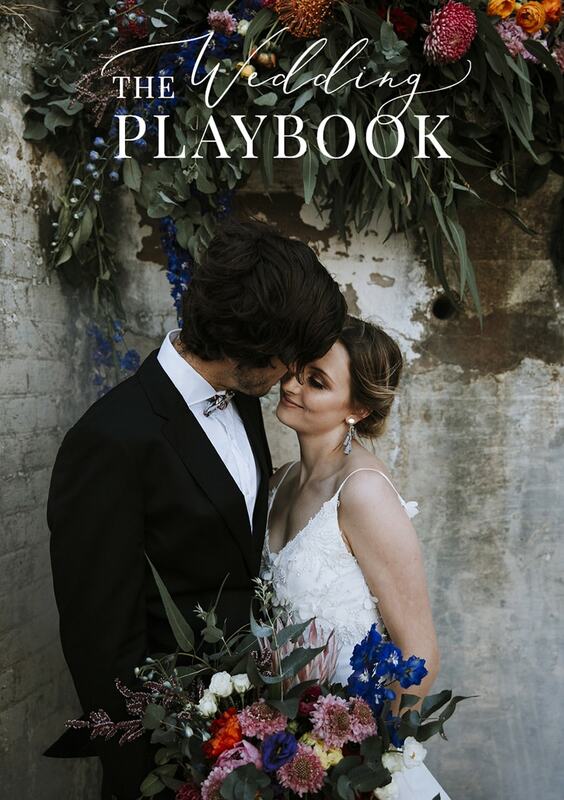 Palm leaves are a must paired with statement blooms like peony and protea, balloon installations bring the fun to food displays and coloured glassware at relaxed dining settings calls for fruity punches. 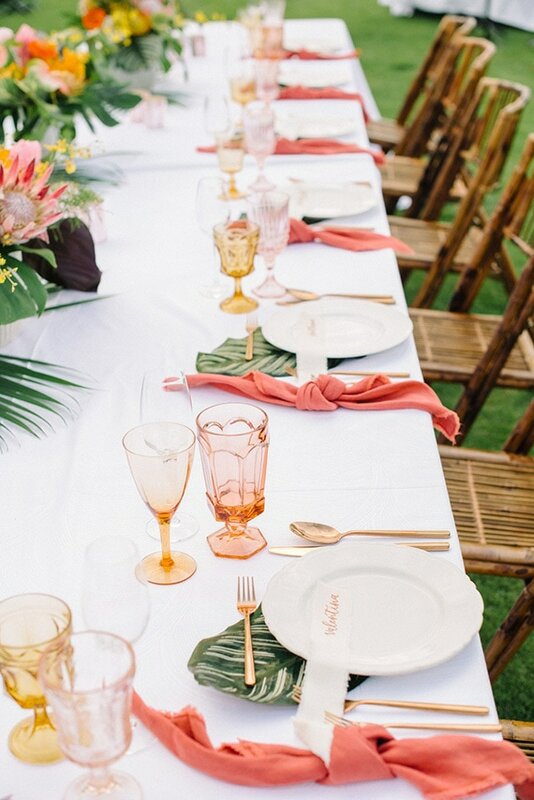 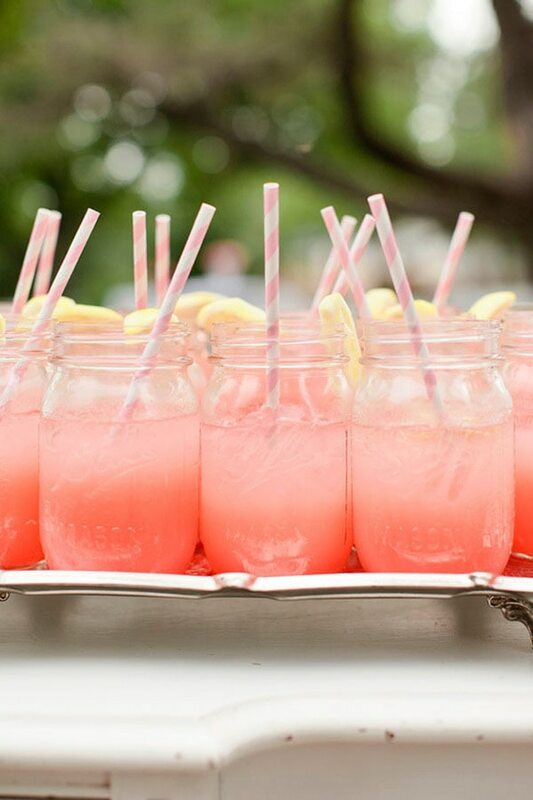 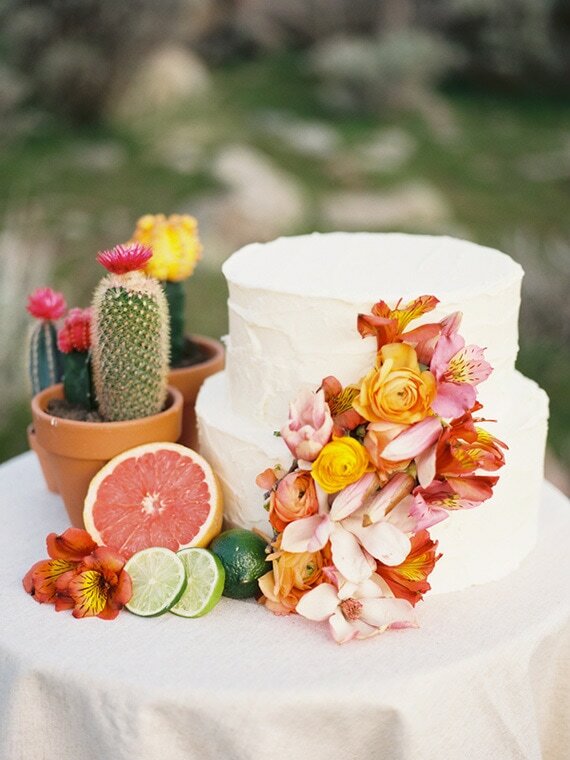 Take a closer look at these tropical coral wedding ideas below!